Triple Prism Consulting | Southeast Iowa’s premiere small business technology consulting company. We maximize the value to our customers by defining solutions that are “right sized” to the problem at hand. We work with our customers to understand their issues and propose solutions that will address their needs today and into the future. We are the ideal choice as a partner for your technology services. We are a locally owned and operated company that offers a 100% satisfaction guarantee. Today’s business environment requires companies to apply creative and cost effective technology solutions to their business problems. Let us help you analyze and solve your most difficult challenges. We offer website development and fully managed offsite hosting services for web sites and email services. Let us mange the required infrastructure for you so that you can stay focused on your core business. Losing data that is critical for your business can be catastrophic. Let us help you establish an effective 'set it and forget it’ backup strategy for all your critical information that securely backs up your data to an offsite server. Our employees have over 25 years experience in software development, networking, hosting, information security and technology consulting. We can help you identify technical solutions to meet your business needs. 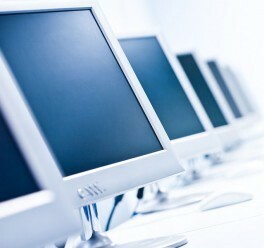 We have over 25 years experience in the technology industry. We partner and team with our customers to create a unique partnership chemistry. We will implement the right solution for the problem with 100% satisfaction guarantee. We apply creative and critical thinking to every problem.